Tonight was yet another practice session on the staircase at the Wilshire-Figueroa building in downtown Los Angeles. I went there this evening with the goal of trying to climb it in 9 minutes or less. And after that, I planned on climbing it again at a moderate pace as many times as time would allow. When I got there, I got signed in and started up. My planned pace was 5 2/3 floors per minute. 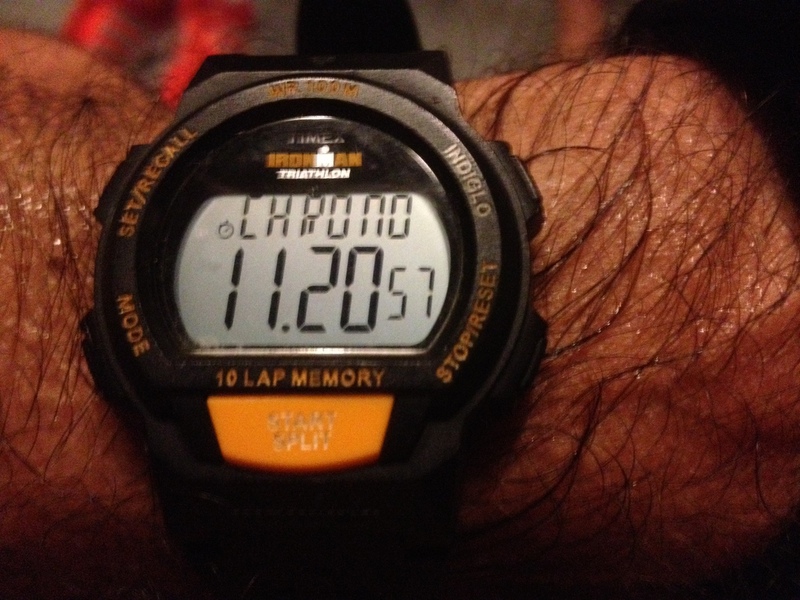 At each time point, I checked my watch to see it ticking over the one-minute boundary. And at each time point, having to mentally add 5 2/3 to it to calculate the next time point was a useful distraction from wondering why the hell I’m doing this insane sport in the first place. I was able to maintain my pace up to about the 38th floor, when I was suddenly overcome by a wave of ‘What-the-f#ck-are-you-trying-to-prove-here’, which briefly slowed me down. I managed to somehow keep going, and when I hit 49, I did my best to sprint up the last two floors, coming out on 51 with a time of 9:07. It’s not quite as fast as I’d wanted, but it’s still my fastest time in this round of practice, so I can’t complain. After the elevator ride down, I climbed the stairs two more times. 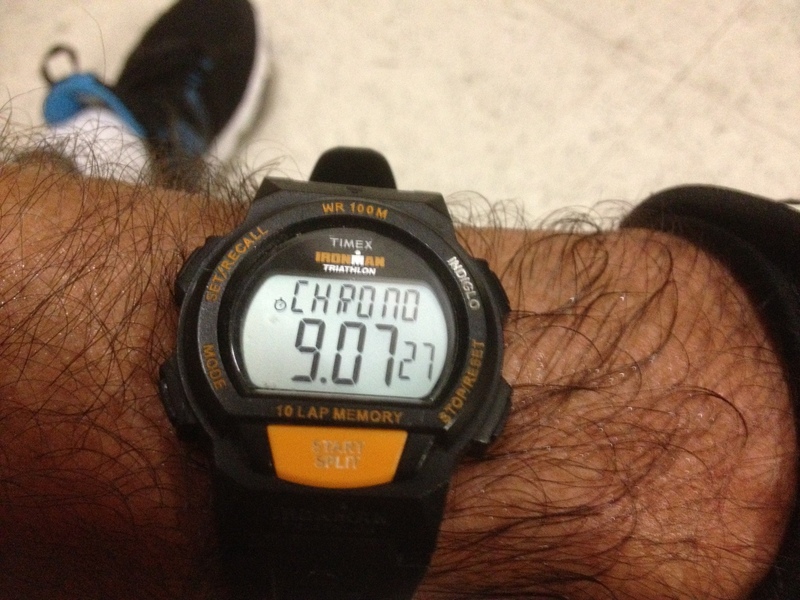 In both, I was trying to do my ‘moderate’ pace, which gets me to the top in about 11:20 – 11:25. It worked once, but on the third time up the stairs this evening, I was starting to fade, and it ended up taking 12:34. By this time, I was pretty tired. But there was still time to do it again. George was there, and he’d brought his 25-foot tape measure, so we walked up together and took some measurements on the staircase. It turns out that from the door where we start up to 2 is 9 feet. Then from floors 2 to 3, it’s 14 feet exactly. The two floors from 3 to 5 the floors are 14 feet. And then from 5 all the way up to 49, each floor is 13 feet. 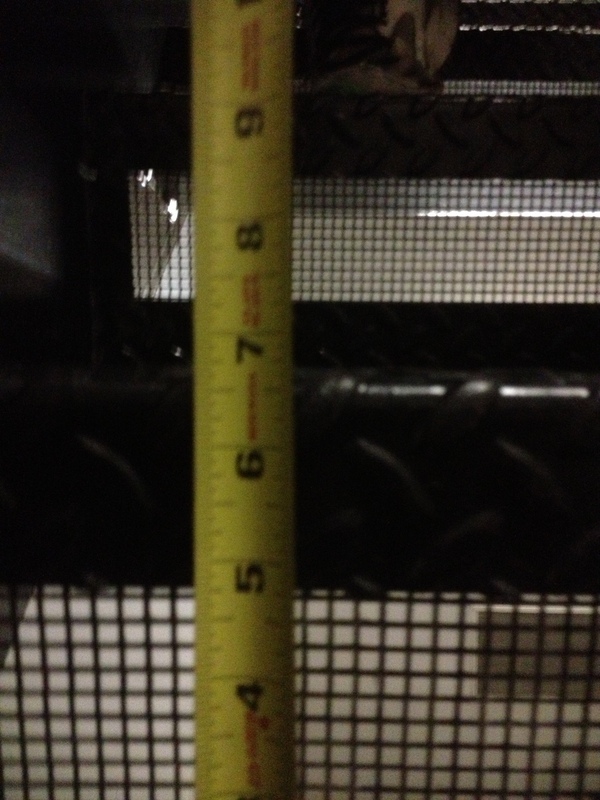 The last two floors from 49 to 51 are 25 feet and 19 feet each. And doing the math, it works out that the steps on that staircase are 6.8 inches high, and the climb up to 51 is 669 feet, 204 meters. I can now correct my staircase chart for this building. And even though it’s slightly shorter than I’d thought, four climbs is still a half-mile, and five is still a kilometer. This is good for those of us who are irrationally goal oriented.